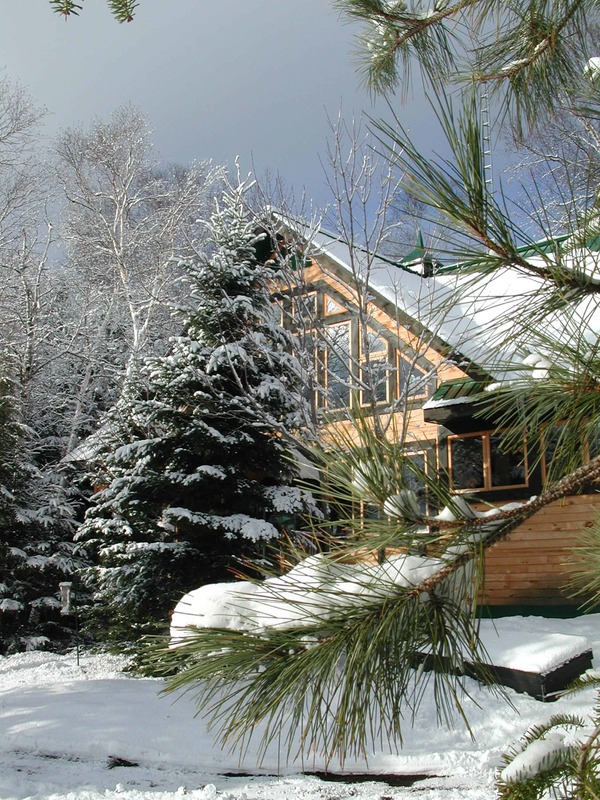 By Day: Just outside of Algonquin Provincial Park, head off from this multi-sport headquarters into the forest by snowshoe, ski, kick-sled or dogsled. There is also ice skating on the lake, cross-country ski lessons and yoga and writing retreats. By Night: Stay in either the main lodge, an updated 120-year-old trapper’s cabin offering rustic comfort, or a smaller private cabin in the nearby forest. The communal chef-prepared meals focus on local ingredients and often lead to an après sauna or star gazing. Directions: Off Highway 11, four hours’ drive north of Toronto, 1.5 hours south of North Bay. By Day: When the mountain pine beetle came calling, Nipika Mountain Resort dealt with the dead trees by cutting trails, increasing its cross-country ski and snowshoe trail network to 50 km. The local pond is snow-plowed for pickup hockey, there’s a great tobogganing hill, ski races and lessons, and it sits just outside of Kootenay National Park. By Night: Nestle into one of the resort’s eight cabins, spread around a meadow or overlooking the Kootenay River. Or bring the extended family and stay in the sprawling Rocky Mountain Cabin. Most trips are self-catered. Directions: Located 14 km off Highway 93, between Banff and Radium, 2.5 hours west of Calgary. By Day: Jasper National Park’s Tonquin Valley ranks among Canada’s top backpacking destinations for its expansive alpine meadows and imposing rock walls, particularly the Ramparts. In winter, covered in snow, it’s even more epic. It’s a daylong 23-km ski or snowshoe through forest and meadow to reach the rustic Tonquin Valley Backcountry Lodge, with the Ramparts dominating the view throughout. From there, the day-trip possibilities range from peaks to telemark slopes, long tours up the valley to open tree skiing, all backed by some of the most stellar scenery in the country. By Night: After a ski day, return to the main lodge to warm up by the fire and refuel with a hearty dinner prepared by the cook and served family style. Socialize after dessert or retire to one of six nearby cabins. With wood heat and oil lanterns, they’re simple but comfortable and warm, a perfect place to prepare for another day of fun in one of the great playgrounds of the Canadian Rockies. Directions: The ski approach begins 10 km south of Jasper, three hours west of Edmonton.